Are you looking for easy recipes to put on your weekly meal plan? 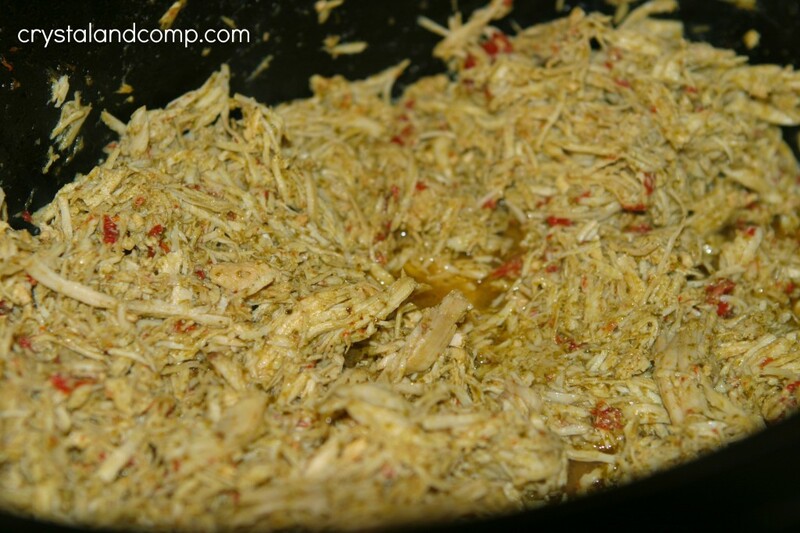 This chicken dinner is cooked in the crockpot with pesto sauce and roasted red peppers. 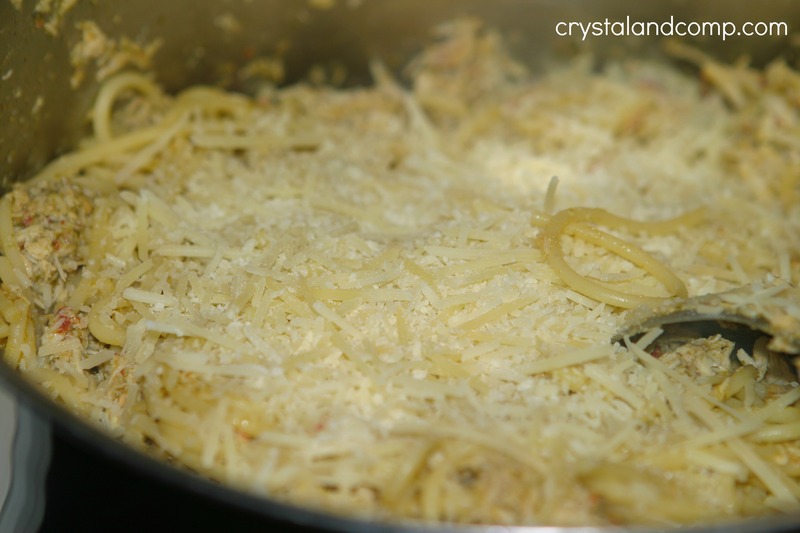 You serve it over spaghetti and top it with Mozzarella and Parmesan cheese. It is super easy and delicious. 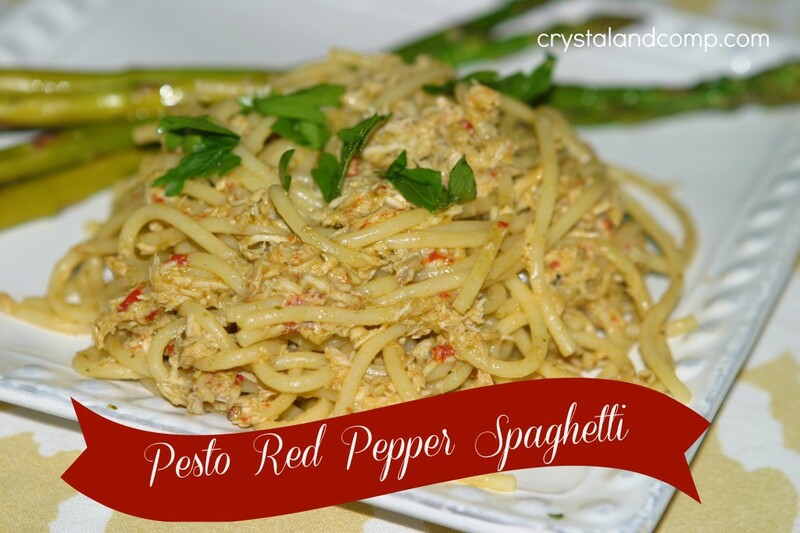 Serve it with a dinner salad, a veggie side and/or dinner rolls and dinner is done! I am going to show you how I made this. 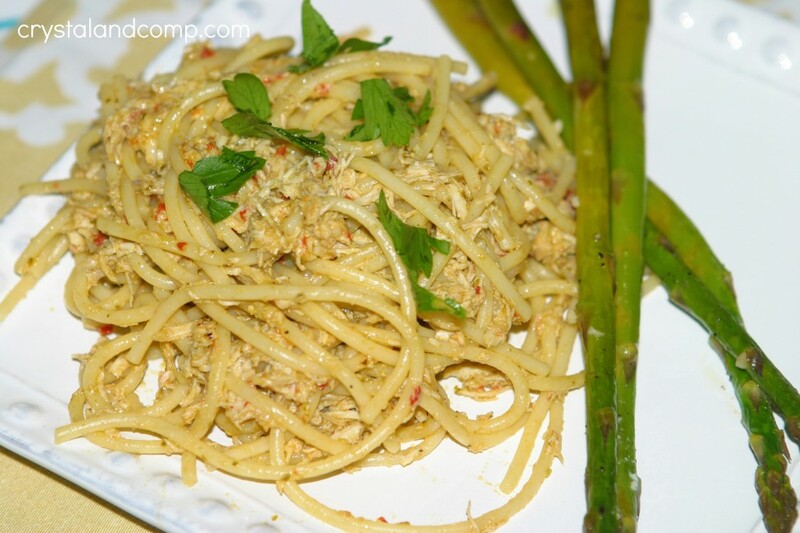 It is so easy and perfect for a busy weeknight! We were at Trader Joe’s a few weeks ago (my new favorite store that my friend Kim introduced me to) and these two items were being promoted in demos that day. I grabbed them and knew I could easily use them in a pasta dish. If you buy a different brand of roasted red peppers and pesto and the container sizes are a bit different than what I have referenced above, not worries. Improvise. More pesto, makes more sauce. Take your chicken breasts and place them in the crockpot. 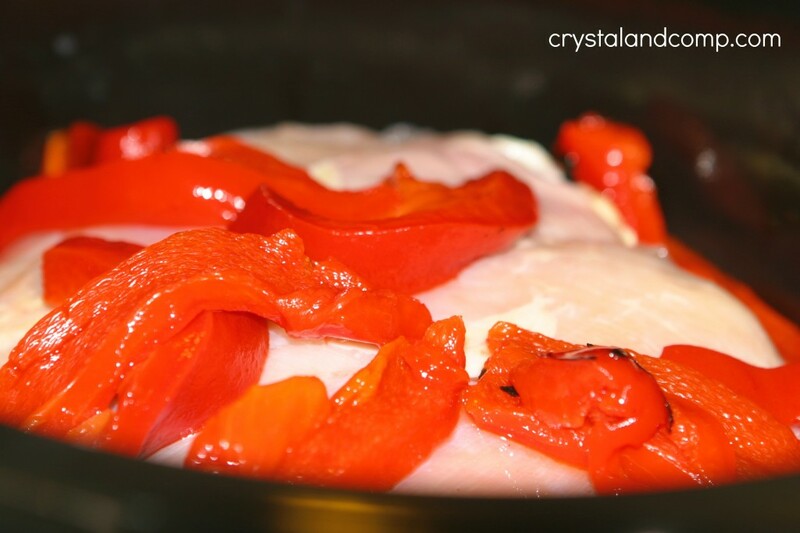 Add the roasted red peppers over the chicken. 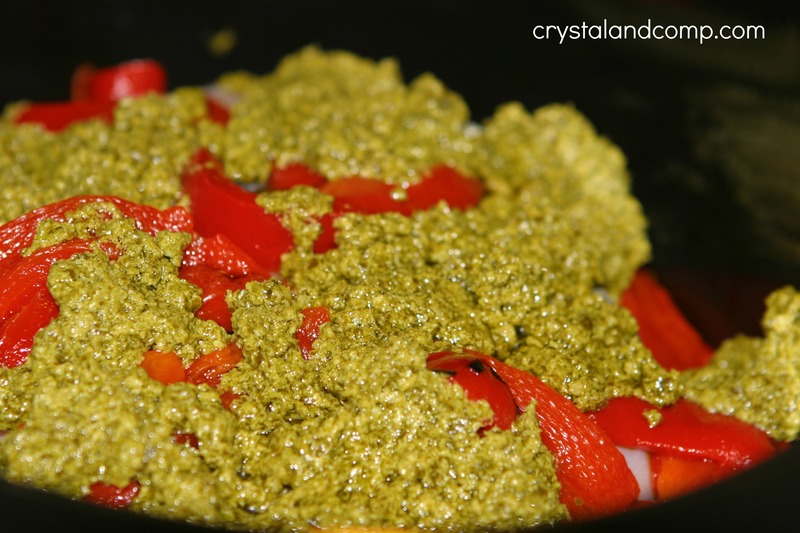 Add the pesto over the peppers. When the chicken is done cooking it will be super tender. Stir when done and everything will mix together. 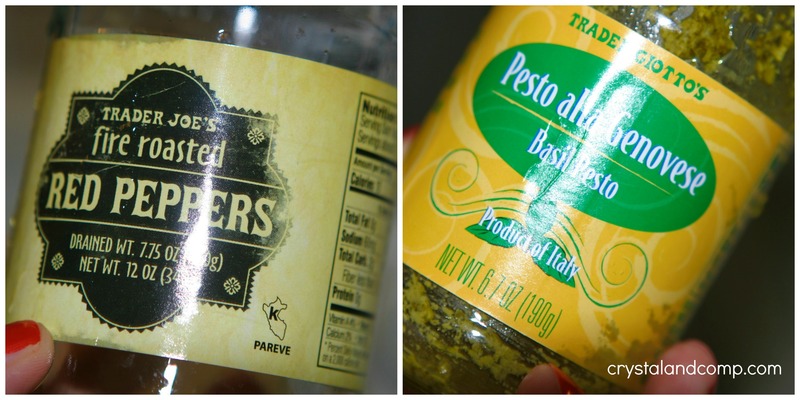 The oil in the crockpot photo above is from the pesto. No worries, you want that to help coat the noddles. 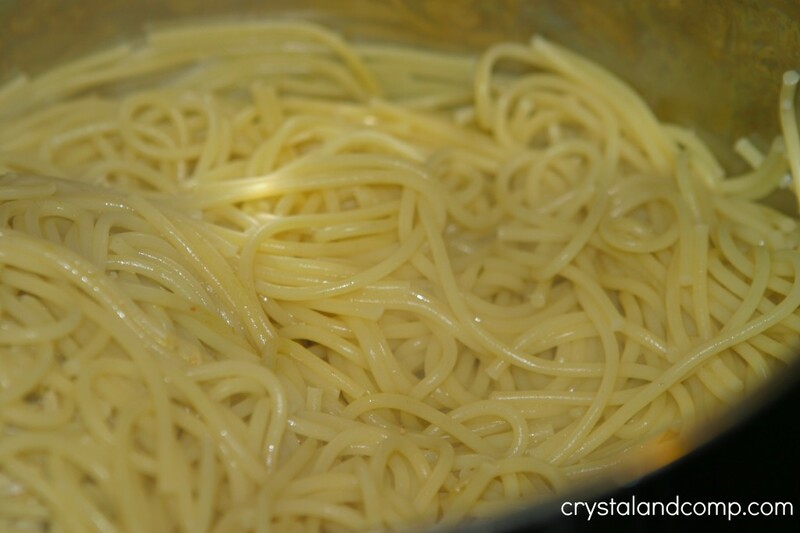 Boil 1 lb of spaghetti noodles for 9 minutes on the stove. Pour the chicken, pesto, red pepper mixture over the noodles. Mix well to combine coating all the noddles. Plate it up. It really is that easy! Top with a little bit of chopped parsley if you would like. Even some extra cheese is nice too. I served this with baked butter garlic asparagus. It was an amazing dinner that was super easy!